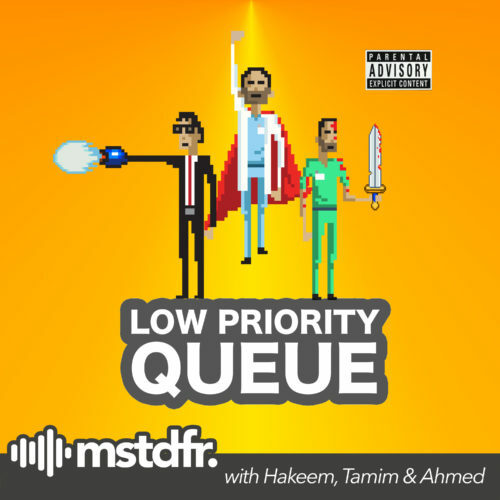 A geek-centric podcast of three fanboys with great intentions, but absurdly poor taste. Residing for eternity where gamers go to die; The Low Priority Queue! New episode every Saturday. Whoa! We knew this show had hype but we didn’t expect it to be this good! Listen as Mojadidi is joined by Rick and Morty enthusiast, Abdullah Kurashi and two brand new guests, as they discuss what it was about Legion that truly set it apart from all the other superhero shows. From the acting to the directing to the use of musical cues and bizarre opening and closing credits, we were mind blown.